The newest Dolce & Gabbana shoulder bag is a departure to a more tropical landscape. 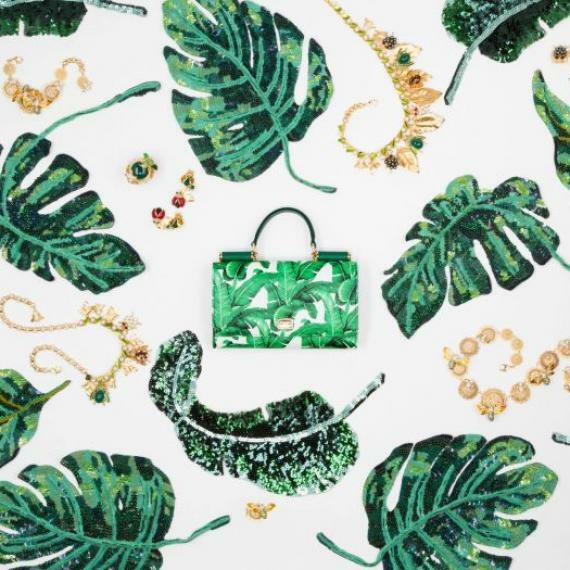 Printed with tropical green and white banana leaves, the bag is inspired by the Botanical Garden of Palermo, Sicily. In addition to the bright print, the boxy purse is embellished with colorful crystals in the shape of a lady bug, bumblebee, and caterpillar.